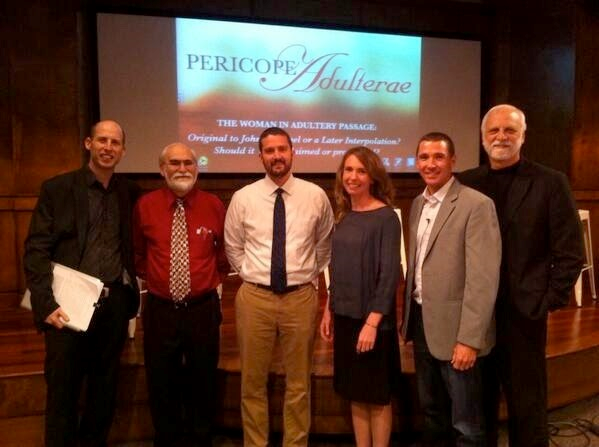 Last Friday-Saturday, I had the opportunity to attend the Pericope Adulterae (PA) Symposium at SEBTS in Wake Forest, NC. The conference focused on the “Woman Caught in Adultery” passage found in John 7:53—8:11, which, along with the so-called longer ending of Mark (Mark 16:9-20), is one of the two longest and most significant textual disputes in the NT. Dr. John David Punch, Pastor, City Church, Denver, Colorado. Dr. Tommy Wasserman, Academic Dean and Associate Professor of NT Exegesis at Örebro School of Theology in Sweden. Dr. Jennifer Knust, Associate Professor of NT & Christian Origins at Boston University. Dr. Chris Keith, Professor of NT & Early Christianity and Director for the Centre for the Social-Scientific Study of the Bible at St. Mary’s University College n Twickenham, London (though he is originally a Kentuckian). Dr. Maurice Robinson, Senior Professor of NT & Greek at SEBTS. The presentations will later be incorporated into a book as have two other symposia organized by Black (one on the Synoptic Problem and one on the Ending of Mark). I arrived late, so I completely missed Dr. Punch’s presentation. From his handout and later discussion and interaction it became clear that Punch had argued for the inclusion of the PA based on internal evidence. Contra the prevailing views of modern scholarship, he argued based on language, style, and content that the PA was original to the Gospel of John. He also offered the explanation that it was excluded by pious scribes who saw both the woman’s adultery and Jesus’ forgiveness of her to be scandalous (cf. comments on the PA by Ambrose, Augustine, etc.). Wasserman offered a review of second and third century copies of the Gospel of John, noting the absence of the PA from early papyri like p66 and p75. He stated that the “shared conservatism” of scribes would argue against conscious omission of the PA.
1. Justin Martyr’s insertion of fire on the water at Jesus’ baptism (Matt 3:15). 2. Justin Martyr’s insertion of Psalm 2:7 “Today I have begotten thee” at Jesus’ baptism. 3. Addition to account of James and John in Luke 9:51-56. 4. The angel stirring the water at John 5:4 (cf. Tertullian). 5. Jesus’ anguish in the garden and sweat like blood (Luke 22:33-34). 6. Western texts include reaction of the crowd at Jesus’ death (Luke 23:48). 7. The Freer Logion (Mark 16:14). He also cited several other non-received traditions (in Matthew 20:28; Luke 6:45; Luke 23:53; Mark 16:3). Finally, Wasserman notes that the PA appears predominantly in the Western Church. He cites Bruce Metzger’s observation that the Old Latin was a “living creation” which was constantly growing. Though he believes the PA to be an interpolation, Wasserman argued for the antiquity of the PA. He cited various Old Latin capitula (chapter titles) which list the PA and date to the time of Cyprian (c. 200-248 AD). He noted, in particular, that one of these capitulum in describing the PA makes use of the Greek loan word for adultery, indicating that the text was known in Greek and not merely in Latin. Knust’s presentation was linked to that of Wasserman’s, as, in fact, the two are working together on a scholarly book on the PA. Whereas Wasserman had pointed to non-received Jesus traditions to demonstrate how a passage like the PA might have developed, Knust set out to prove that if the PA had been original it would not have been deleted or textually corrected. She cited a number of Church Fathers who cast aspersions on those who added to or took away from the text of Scripture (cf. Deut 4:2). She cited, in particular, orthodox attacks on Marcion for “mutilating,” or as Irenanaeus put it, “circumcising” the Gospel of Luke. She especially argued that the account of a penitent adulteress would not have been deemed offensive by early Christians. Of interest in her presentation was her inclusion of non-textual evidence for the antiquity of the PA, including an Egyptian ivory pyxis (small, lidded jar) from the 6th century which depicts the Samaritan Woman at the Well along with the Woman Caught in Adultery. This shows the PA was known early (by 6th century AD), was known in Egypt (i.e., not just in the Western church), and was associated with the Gospel of John (i.e., depiction with the Samaritan woman). Keith began by noting he was in substantial agreement with Wasserman and Knust. 1. Christians were reading the PA by at least the late 4th century at John 7:53—8:11. 2. Copies of John circulated without the PA.
3. The only location attested for the PA is John 7:51—8:11 until the 9th century. It was not a “floating tradition” in early Christianity. 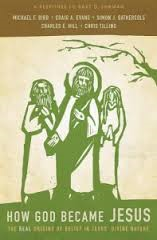 He made reference to his 2009 Brill monograph, which argues that the PA was added to John for sociological-political reasons to show that Jesus not only could read but also write (katagrapho in John 8:6) and that he knew and authoritatively interpreted the law. The final session was given to Robinson. His argument is that the PA was omitted from some manuscripts due to liturgical reasons. He argues for an early dating for all the Gospels (pre-70). The PA was not read during the regular liturgical year but only for special feast days (especially those for women saints who had reformed lives). His theory is that the PA was removed so that the Pentecost reading would not end at 7:52 (“for out of Galilee ariseth no prophet”) but omit 7:53—8:11 and continued at 8:12 and following. It is by far the longest portion of the NT omitted by a large number of mss. In comparison the Longer Ending of Mark is only omitted by a handful of mss. As for internal evidence, Robinson argued for “spanned interlocked linkages within the Tabernacle Discourse (John 7:1—10:21)” which demonstrate that the PA was original to John. He concluded by noting that the issue would be settled if not for the large number of mss that omit the passage. The omissions can be explained due to liturgical reasons. It would have been virtually impossible for such a lengthy section to have been added. In view of manifold internal criteria, we must conclude that the PA is immanently suited to be included in the text of John. The PA Symposium provided a stimulating discussion of this disputed text. Even the scholars who hold the PA to be an interpolation argued for its antiquity and that it had an early, fixed location in John’s Gospel at John 7:53—8:11 and was not, contrary to what is sometimes popularly promoted, a late developing “floating tradition.” The presentations and discussion were charitable and collegial. Wasserman, Knust, and Keith each expressed appreciation for the labors of Robinson in text criticism in general and on the PA in particular, while also clearly indicating their disagreement with his conclusions. At the end of the Symposium, David Black took a straw poll of participants (including many students and laymen) and the majority voted for the originality and authenticity of the PA. Wasserman quipped that this vote might be true at this Symposium at SEBTS but not in the wider world. He is indeed right. There is not even a debate among the vast majority of modern critical scholars that the PA is an interpolation. I came into the Symposium a firm TR preferentialist, holding that the PA was part of the originally inspired and divinely preserved text of Scripture. That conviction was in no way shaken, but, if anything, affirmed. I cannot say that I was convinced by Robinson’s external evidence argument that the PA was omitted due to liturgical reasons. It seems hard to believe that a detailed lectionary system would have developed so early. I lean toward the “suppression” argument even if the reasons for its early suppression might be lost to us in the mists of the past. I think the arguments of Punch, Keith, and Robinson regarding the continuity of the PA with the rest of John were convincing. Though the conference was strong on addressing the nitty-gritty issues of external and internal evidence, it was weaker in addressing some of the doctrinal issues related to the PA and text criticism in general. Part of this came because there was little discussion of a confessional approach to Scripture. The speakers, in fact, represented broad and diverse confessional backgrounds. Wasserman is a Swedish Baptist; Knust an ordained American Baptist (interesting to have her speak at an SBC seminary sponsored event); Keith comes from a Restorationist (Church of Christ) background; Punch seems to be a broad evangelical-Baptist; Robinson is a Chicago Statement of Biblical Inerrancy affirming Southern Baptist. Wasserman, Knust, and Keith move much more in the circles of the academy. It was interesting when Knust was asked in a q and a session whether she believed the PA event was an actual historical event, and she replied, “I believe it is just as possible that this actually happened in the life of Jesus as any other event in the NT.” She and Wasserman, in particular, seemed to operate with a distinct Kantian, historical agnosticism when it comes to the NT. They seemed more at home discussing the PA as a literary problem in a text of antiquity rather than as a text of Scripture. Perhaps they would reply that this was an academic symposium, after all, and not a theology conference. Granted. If we do not have a fixed and settled NT text, do we ever have a closed canon? If the words of the Bible are inspired in the original languages (see chapter one of the Westminster Confession and the 2LBCF 1689), how can we accept the concept of the PA as a later interpolation, even if we argue, as Wasserman, Knust, and Keith all seemed to be saying, that the PA should be included in the Bible and preached? How can we explain the tenacity of the PA’s appearance in John as evidence of its divine preservation? Even the current Western scholarly consensus opposing its original status (it is affirmed in Eastern Orthodoxy) has not swayed the view of those in the pew who still value it and see it as Scripture (and who are usually surprised to find that scholars have even questioned it). Post on the Evangelical Text Criticism blog on the PA conference. Jacob Cerone’s Debriefing of the PA conference (he also live blogged each session). Thomas Hudgins’ live blog of the PA conference. David Black’s reflections on the PA conference. Henry Neufeld’s appraisal of the PA conference. Last week we sent out the most recent issue of the Reformed Baptist Trumpet (Vol. 5. No. 1 January-March 2014) the quarterly e-journal of the Reformed Baptist Fellowship of Virginia. Paradosis Article: Excerpt from Benjamin Keach's "The Axe Laid to the Root". Registration information for the 2014 Keach Conference and past issues of the RBT can be found on the RBF-VA website. Image: A pre-Civil War slave showing the scars from his whippings for running away. When Paul wrote that he bore in his body "the marks of the Lord Jesus" (Gal 6:17), perhaps he meant the scars of the beatings he received including five times having received 39 lashes (2 Cor 11:24). Note: Here are some notes reflecting on the ministry of the apostle Paul from last Sunday morning’s sermon on Galatians 6:11-18. It has been said that next to the Lord Jesus himself, the most important person in the New Testament and in early Christianity was the apostle Paul. My guess is that if we met Paul in the flesh we probably would not be all that impressed with his outward appearance. We do not have an authoritative physical description of Paul in the NT though there is one that appears in a late, extra-biblical book, which probably isn’t historically reliable. At any rate it describes Paul as “a man short in stature, with a bald head, bowed legs, in good condition, eyebrows that met, a fairly large nose, and full of grace.” It adds, “At times he seemed human, at other times he looked like an angel” (from The Acts of Thecla, in B. Ehrman, Lost Scriptures, p. 114). 2 Corinthians 10:10 For his letters, say they, are weighty and powerful; but his bodily presence is weak, and his speech contemptible. Here in Galatians 6 we have two personal windows into the ministry of Paul. Most scholars believe that up to this point Paul had probably up been dictating this letter to a scribe or secretary (cf. Rom 16:22), but he takes the pen in hand here at the close to write at least the final words in his own hand (cf. 1 Cor 16:21; [2 Cor 10:1]; Col 4:18; 2 Thess 3:17). First, it tell us about the importance of the authority and integrity of God’s Word and that it came through the hand of God’s own chosen apostles. There were false teachers who attempted to write forged letters in Paul’s name. See 2 Thessalonians 2:2 where Paul warns them “not to be shaken in mind, or be troubled, neither by spirit, nor by word, nor by letter as from us.” Also in 2 Thessalonians 3:14 he warns against those who do not obey his epistle telling the believer to note that man and not to keep company with him, so that he might be ashamed. This point to two equal and opposite errors: (1) those who set up a false authority in place of the authentic Scriptures; and (2) those who deny or reject what the Scriptures plainly teach. Third, Paul lays down a model which teaches us that Christian ministry is personal. It is not a faith of form letters, or impersonal emails, or phone-it-in ministry, or of Pastors who do not know your name. The man can barely see, but he picks up the pen to write. This is a mark of authenticity but also of care for the Galatians. The second window comes in v. 17. Paul begins, “From henceforth let no man trouble me [literally: let no one add to me hardships or troubles]…” This implies that these false teachers had been troubling Paul. They had likely been defaming him, mocking him, slandering him, and challenging his status as an apostle. This is why he had so vigorously defended his apostleship (see 1:11-16). But these things had been a burden to him. They had been trouble to him. No doubt this was true because of the spiritual burden he had for the people of God. The unimpressiveness of Paul ought to give us pause as we consider what it is that makes men great. In the kingdom men are great who deny themselves, take up their cross daily, and follow Christ (cf. Luke 9:23). I completed the Doctrines of Grace sermon series in Lynchburg Sunday evening with a message on The Perseverance of the Saints. Image: The Craig Bird edited book which responds to Ehrman. 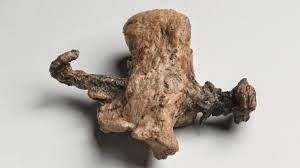 Image: The Yehohanan ossuary, discovered in 1968 in Israel, shows the remains of a man who had been crucified with a nail still embedded in his heel. The ossuary dates to c. 20 AD, showing that the Romans did allow the burial of the victims of crucifixion. I've posted a new episode (# 23) of Word Magazine. 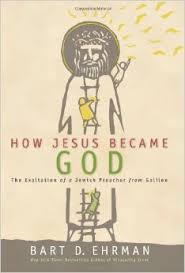 This one includes part 2 of my review of the NPR Fresh Air Interview with Bart Ehrman on his new book, How Jesus Became God (HarperOne, 2014). In the review I make reference to the Craig Bird edited response to Ehrman's book, How God Became Jesus: A Response to Bart D. Ehrman (Zondervan, 2014). I called attention in particular to chapter 4 ("Getting the Burial Traditions and Evidence Right") by Craig A. Evans which IMHO completely demolishes Erhman's arguments against the Gospel accounts of the burial and empty tomb. Evans notes Roman and Jewish literary evidence showing that the Romans permitted burial of the victims of crucifixion. He also points to archaeological evidence, including tombs and ossuaries with the remains of those crucified (including the Yehohanan ossuary). 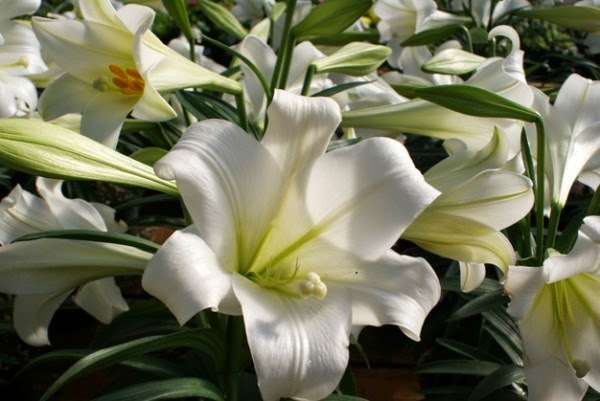 The arrival of “Easter Weekend” raises the question again of how Scripturally regulated worship relates to the “Christian calendar.” Even many evangelical Calvinistic churches “observe Lent” and during this past “holy week” have held “Maundy Thursday” and “Good Friday” services. But are such “holy days” Biblical or do they lead to erosion and even compromise of Biblical practice? Even if one opts out of the “Christian calendar” what about private and family observance of holidays? 1. There is only one Biblically mandated holy day for new covenant believers and that is the Lord’s Day or the Christian Sabbath. 2. The Christian calendar developed after the time of the apostles and led to confusion in the church. 3. With the Protestant Reformation there came a purification of worship. 4. We should follow in the tradition of the mature Reformation and hold to the Lord’s Day as our only Scripturally approved Holy Day. 5. We can, however, personally and in families culturally celebrate holidays as long as we do so in a way that is commensurate with Christian conscience. We had our second-Sunday Sunday School discussion last Lord’s Day afternoon on baptism and the Lord’s Supper. I also made mention of a book review I did of Keith A. Mathison’s Given for You: Reclaiming Calvin’s Doctrine of the Lord’s Supper (P & R, 2002), which influenced my understandings of the Lord’s Supper and especially how it functions as an element in worship and the frequency with which it is observed. Finally, I noted that we are about to complete our Sunday afternoon Spurgeon’s Baptist Catechism sermon series by covering questions 70-82 which also deal with Baptism and the Lord’s Supper. Hopefully this series will help us to refresh, examine, clarify, reinforce, and confirm our understandings of these key Biblical practices in our church. Irresistible grace is the doctrine that God graciously applies the redemption purchased by Christ to the saved in such a way that their hearts are utterly and gladly taken captive to Christ. The redeemed are drawn by God’s Spirit to trust completely in Christ for their salvation. God lovingly overcomes any stubborn resistance to him and makes the redeemed his glad and willing servants. We have already discussed man’s state in sin and his total inability to seek God (T); God’s plan to save mankind and his sovereign election of those who would be saved (U); and God’s accomplishment of redemption through Christ’s death on the cross (L). We now come to the application of that redemption to the hearts of sinful men so that through faith in Christ they are saved (the I of TULIP). This is where the doctrines of grace demonstrate a robust trinitarian thelogy: the Father elects; the Son redeems; the Spirit applies redemption. Imagine the following scenario: Two people hear the gospel preached. One is converted and becomes a solid believer. The other is left cold by the gospel and remains in his unbelief. What made the difference in the response of the two men? The Arminian says the difference is merely that the first man chose God and the second man did not. The Arminian implies that there was some special quality within or some work performed by the first man that distinguished him in the eyes of God from the second man. The doctrines of grace say that the first man was saved by a sovereign act of God’s free grace alone. The first man would have been just as indifferent to the gospel as the second man if the Spirit of God had not graciously drawn him to Christ. Today we can say with the Psalmist, “the heavens declare the glory of God” and the firmament shows forth his handiwork (Psalm 19:1). As we stand on the threshold of a new season of baseball here at Cove Creek, we bring you thanksgiving for the past and ask your blessing for the future. We thank you for providing the benefactors, administrators, and officials whose generosity, hard work, and guidance have made this place possible. We thank you for the coaches and parents for their instruction and support. Help us to encourage excellence in competition without being overbearing or unkind. Make us to be circumspect in our criticism and liberal in our praise. And today we especially thank you for these young athletes, for their readiness, enthusiasm, and excitement for this new season. We ask that you would watch over their physical safety. Help them to honor their parents, their elders, and all those in positions of rightful authority by being respectful and considerate. Help them to strive for excellence in proportion to their abilities, to be fair in competition, generous in victory, and noble in defeat. Help us, as the apostle Paul taught, to do all to your glory. And teach us to follow the timeless rule given by Jesus: Do unto others as you would have them do unto you. We ask all this in Christ’s name, Amen. I just uploaded a new Word Magazine which I recorded on Friday, reviewing the NPR Fresh Air interview with Bart Ehrman on his new book, How Jesus Became God. 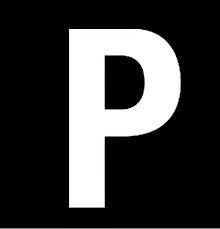 The Vision (4.10.14): Grace Points: What gives meaning to life? Note: Here’s the script to another one of the “Grace Points” radio spots (audio here). Continue to pray for these devotionals as they are being broadcast. After the fall of communism, a large Scandinavian department store opened in Budapest, Hungary. The company put up billboards throughout the city. The Christian would add a third book to the billboard: the Bible. Life is more than materialism or politics. Life is about knowing the God of the Bible. This is where we find meaning. Jesus said, “I am come that they might have life, and that they may have it more abundantly” (John 10:10). 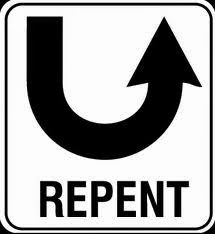 The Vision (4.3.14): What is repentance unto life? 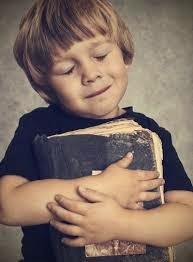 “I thought on my ways, and turned my feet unto thy testimonies” (Psalm 119:59). “When they heard these things, they held their peace, and glorified God, saying, Then hath God also to the Gentiles granted repentance unto life” (Acts 11:18). 2. Repentance is a saving grace. 3. Repentance is not merely the sorrow of the world that works death but godly sorrow that works life (2 Corinthians 7:9-11). 4. Repentance requires having a true sense of sin. 5. Repentance involves the apprehension of the mercy of God in Christ. 6. Repentance involves having grief and hatred of sin. 7. Repentance involves two turnings: (1) turning away from sin and forsaking it and (2) turning toward God to strive after new obedience. Survey minutely your inclinations and thoughts, your words and actions, even from your earliest years. Put to yourself seriously questions such as these: What have I been intending and pursuing all my days? What has been the rule of my conduct? The maxims of men or the Word of God? The customs of the world, or the example of Christ? What has the supreme love of my heart been fixed on? Have I given to Christ, or to the world, my strongest desires and warmest attachments? Has it been my habitual intention to please God, or to please myself? Has it been His glory that I have aimed at in every pursuit, or my own gratification, wealth or honor? Is it in heaven or upon earth that I have been chiefly aiming, to lay up treasures for myself? Has God in Christ been the delightful subject of my frequent meditation and conversation? Or have I regarded religious thoughts and converse as insipid and wearisome? Have I been out of my element when employed in the delightful work of prayer and praise, of reading and hearing the glorious Gospel? And have I found more pleasure in licentious mirth and trifling conversation? Have I kept the Sabbath, and with holy reverence frequented the sanctuary of the Lord? Or have I profaned His Sabbath, and poured contempt on His ordinances? And have I relied for all my right to eternal life on the surety-righteousness of Jesus Christ, and trusted cordially in Him for all His salvation? Or have I relied for a title to life partly on my own works, and trusted in Him for a part only of His salvation? Propose with impartiality these questions to yourself, and suffer conscience to return a faithful answer, in order that you may so discern your self-deformity, as to abhor yourself, and repent in dust and ashes. Source: John Colquhoun, True Repentance (Choteau, MT: Old Paths Gospel Press, n.d.): 23-24. 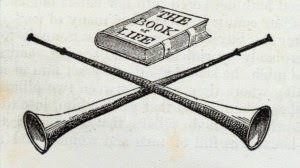 So concludes "The Bible in American Life," a lengthy report by the Center for the Study of Religion and American Culture at Indiana University–Purdue University Indianapolis (IUPUI). Funded by the Lilly Foundation, researchers asked questions on what David Briggs of the ARDA, which first reported the results, calls "two of the most highly respected data sources for American religion"—the General Social Survey and the National Congregations Study. The numbers are surprising, given the strong sales of NIV translations in bookstores. The NIV has topped the CBA's bestselling Bible translation list for decades, and continued to sell robustly in 2013. The high numbers of KJV readers confirm the findings of last year's American Bible Society (ABS) State of the Bible report. On behalf of ABS, Barna Group found that 52 percent of Americans read the King James or the New King James Version, compared with 11 percent who read the NIV. The KJV also received almost 45 percent of the Bible translation-related searches on Google, compared with almost 24 percent for the NIV, according to Bible Gateway's Stephen Smith. In fact, searches for the KJV seem to be rising distinctly since 2005, while most other English translations are staying flat or are declining, according to Smith's Google research. Smith, whose research on how technology is shaping Bible use is profiled in this month's CT cover story, blended data from Google Trends and the Google Keyword Tool to see how English Bible translations compare in search terms. Bible translation searches may not necessarily be an indicator of Bible transation usage—a Bible Gateway study earlier this year found dramatic differences between the cities most likely to search for Bible verses and the American Bible Society's list of top "Bible-minded" cities. "Although the bookstores are now crowded with alternative versions, and although several different translations are now widely used in church services and for preaching, the large presence of the KJV testifies to the extraordinary power of this one classic English text," Noll commented in the IUPUI report. "It also raises most interesting questions about the role of religious and linguistic tradition in the makeup of contemporary American culture." IUPUI also noted several main tells: You're more likely to read the Bible if you're female (56 percent compared with 39 percent of men), African American (70 percent read at least once a year, compared with 46 percent of Hispanics and 44 percent of whites), and older (56 percent of those over 70 years old, compared with 44 percent of those between 18 and 29). You're also more likely to read the Bible if you live in the South (61 percent) rather than the Northeast (36 percent). CT has reported on ABS's State of the Bible reports, including how the Bible gained 6 million new antagonists in 2013. CT's previous coverage of the KJV includes a history of the translation, its influence, and how the KJV compares to other translations. CT's previous coverage of the NIV includes the Southern Baptist Convention's rejection of the 2011 version for avoiding male pronouns where both genders are intended and responses from Lifeway and CT.